Multiple offers, Deadline 7pm June 4th for best and final! 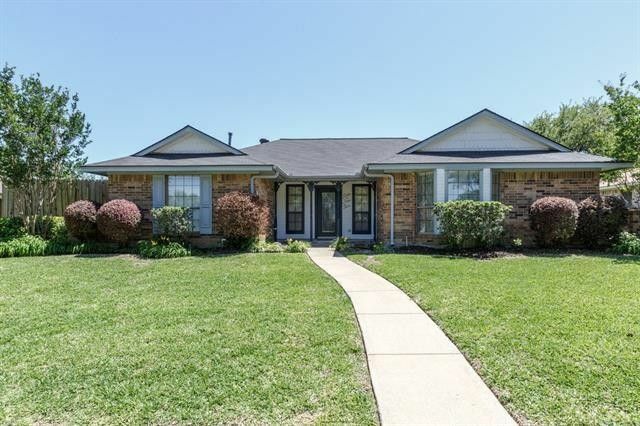 Beautifully updated, clean, open floor plan home in Rowlett. Located minutes away from the President George Bush turnpike you will be close to shopping, restaurants, and not far from the Bayside Development off 30 and Dalrock. The home was updated with new paint throughout the entire house, two new ceiling fans, counter-tops, fixtures, and pulls in the bathrooms. The covered patio is great for enjoying a nice dinner outside while maintaining your privacy. The neighborhood has mature trees, larger lots, and plenty of space for outdoor activities. You will appreciate the home from the moment you walk through the front door.